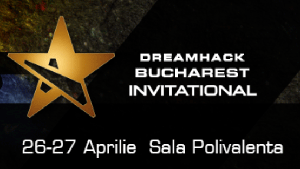 The Dreamhack 2014 invitational will be played in Bucharest on April 26 and 27. It will feature four of the top Dota 2 teams in the world in best of three matches with a double elimination format. The Dreamhack Invitational is one of the tournaments leading up to The International with the winner often being one of the favorites in The International. Four of the best DotA 2 teams in the world will attend DreamHack Bucharest 2014 and battle over the course of two days in a double-elimination (best of 3) bracket for a 25.000 USD base prize pool. Alliance – definitely the favorite team here at the Dreamhack Invitational. The defending Dreamhack Invitational champions and The International 2013 champions has pretty much kept their lineup intact, with AdmiralBulldog and Loda leading the way. The Alliance is a really tough team to beat. NaVi – If there is one team that would be able to dethrone Alliance it would Natus Vincere. Better known as NaVi in the Dota 2 gaming circles. They have been playing at a high level since they have entered the Dota 2 scene a few years ago thanks to two of the most famous Dota 2 players in the world. Dendi and Puppey. Fnatic – Fnatic may not have the reputation in Dota 2 as NaVi and Alliance have but they are a solidly built team. They have the talent to pull off a few upsets in this very short tournament. The players in Fnatics team have something to prove since they have typically not fared well in The International tournament. Cloud9 – Cloud9 is the definite underdog in this invitational, but I would like to think of them as more of a dark horse. The 5 members of its Dota 2 team left Speed Gaming in order to join Cloud9 in February 2014. The team name maybe new to the Dota 2 followers but the players have been together for a year. Cloud9 is the team that has much riding on this tournament as a win might get them an invite for The International 2014.